Ministry of Power and Energy :: America will assist for renewable energy in Sri Lanka…. America will assist for renewable energy in Sri Lanka…. In future, not only Sri Lanka, but also every world country has to face a power crisis. Hence, to avoid such situation, it is necessary for us to go for a sustainable solution and make Sri Lanka into the first place among other world countries. For this purpose, American Ambassador, Alina Leptiz made a visit on Ravi Karunanayaka, Minister of Power, Energy and Business Development. This visit took place in the premises of the Ministry of Power, Energy and Business Development, yesterday. Several special key matters relevant to both countries were discussed during this visit. ‘Both population and technology are rapidly growing and demand for energy has increased in considerable amount in the world. Therefore, we have to utilize our available limited energy resources. In certain coming years, a definite crisis will arise in fulfilling the demand for energy. If we need to overcome from such situation, we should find out a sustainable solution’ Minister Ravi Karunanayaka said. 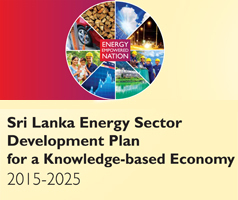 ‘For this, Sri Lanka has moved towards renewable energy sources’ Minister added. Minister pointed out that Sri Lanka has already achieved a considerable progress through renewable solar and wind energy sources. During this visit, American Ambassador highlighted that Sri Lanka stands in the first place rather than other world countries, in terms of power supply. ‘Paying special attention on the infrastructure facilities of the people in this nature would be a distinct task which is being carried out by a developing country like Sri Lanka. This type of initiative would facilitate a country to gain progress and move on a development journey. I have paid my special attention on strategies already followed by Sri Lanka on Solar and wind energy generation. There is a possibility for our investors to make their investments in the relevant sector’ the Ambassador said. 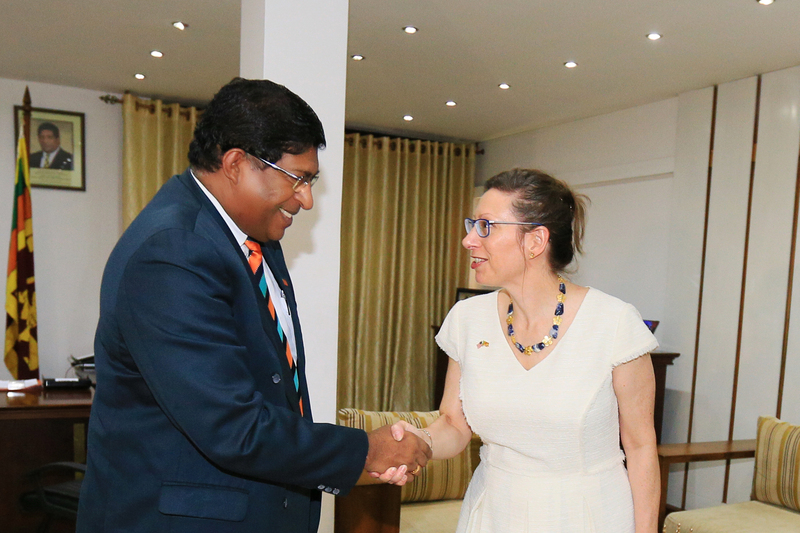 ‘As Sri Lanka includes natural beauty and charm, foreigners are especially attracted and thereby several businesses can be initiated’ the Ambassador said. She agreed to bring American investment opportunity into Sri Lanka for such initiatives which do not impact on Sri Lankan cultural heritages and of its beauty. Minister Ravi Karunanayaka, in expressing his gratitude to American Ambassador, for her above statement, said ‘the assistance of government of America is sought for the activities with regard to government enterprise and energy sector of Sri Lanka to be carried out in future, and thereby it is expected to strengthen the good long-lasting diplomatic relationship between Sri Lanka and America, and an open invitation for government of America is given to find out investment opportunities in Sri Lanka and make its investments’.